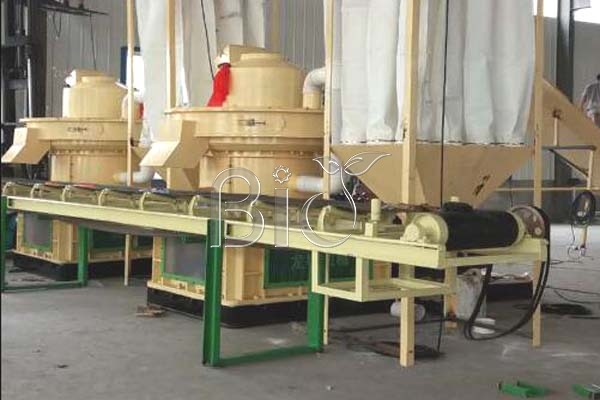 Recently we are busy with installing the 6tons/h wood pellet production line in our clients factory. Raw materials are wood log,wood chips,sometime also corn straw,rice husk.moisture is too high,reach 50%.we design dryer for him. 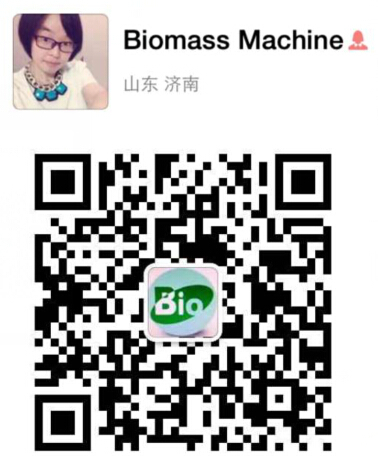 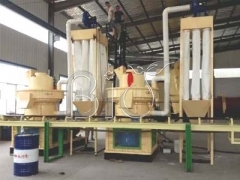 Pellet diameter is 8mm,the packing machine need big tons bags.1tons/bags.they sale pellets to power plant. 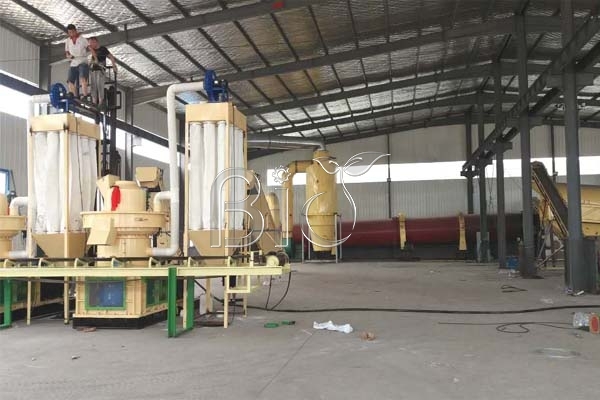 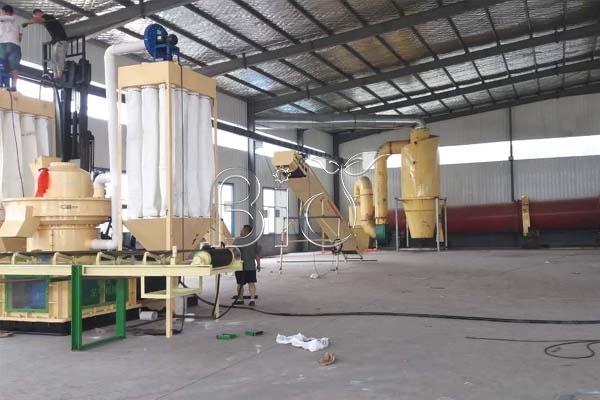 For this big pellet production line,we send our engineer to guide installing.also show to how to operate the machine and maintenance.until the machine working normally.also train buyer's worker for free. 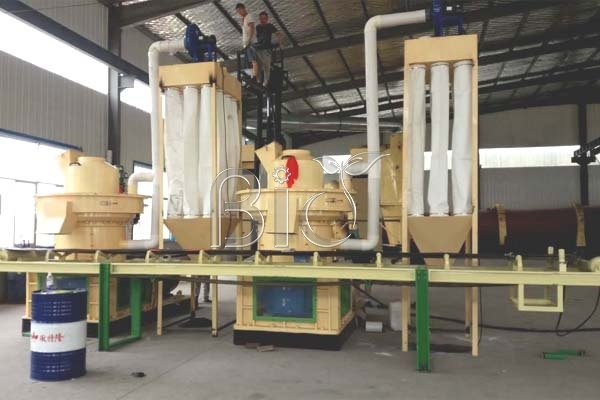 The guide installing time need 7-10 working days depend on the wood pellet plant capacity.if smaller model like 1tons/h,we send the machine installing draw and technical support,the clients can install it by himself.